Buying a home is the American dream. Unfortunately, subpar techniques can lead to foundation instability, plumbing problems, mold and other serious construction defects — all of which can lead to physical injury. When you buy new property in particular, you would assume that your condominium or home would be safe and sturdy. However, home construction defects occur more often than you might think. If your home or condo is a construction lemon, you may find yourself in need of an attorney who knows New York laws regarding home-building defects and failures. 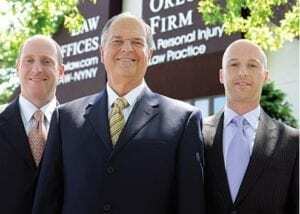 At The Orlow Firm, you will work directly with a partner on your case. We believe you should expect nothing less from your law firm. Contact us at (646) 647-3398 or send us a message online. We serve clients in the Bronx and throughout New York City. House construction defect cases occur when builders, manufacturers or workers make simple to grievous mistakes during the construction process — mistakes that may or may not lead to physical injury. The influx of construction projects in New York City, The Bronx, Brooklyn, Queens and Manhattan has led to shoddy work in many cases. Sometimes the construction mistakes are discovered in time, while other mistakes lead to severe injuries to homeowners, other construction workers or innocent bystanders. When accidents happen or shoddy work is discovered, plaintiffs should seek lawyers with experience in home and business construction defect cases. The Bronx lawyers at The Orlow Firm are experts in construction defect litigation who can help you receive compensation where it is due to you. If you aren’t sure how to proceed with your complaint, we can help guide you in the right direction. You can call us even if you consider your problem minor in comparison to others. If you are in the hospital or unable to come to our office, we will come to you. Call us at 212-203-4053 or (646) 647-3398. You can also send us an email.